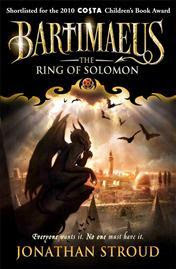 As soon as I got into The Bartimaeus Series I knew I'd found a story I could truly get into. 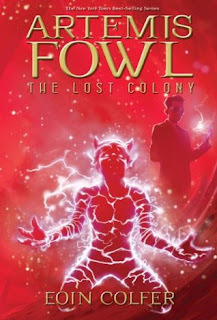 Admittedly, I had planned to take a longer break between finishing the first book and picking up the second but I found that I couldn't stop thinking about the world created by Jonathan Stroud...so I went ahead and dove into The Golem's Eye. Once again, I'm blown away by this world and magical system here. 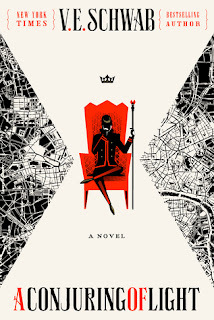 It's set in a more or less modern, alternate history version of London, and the world is dark, layered, atmospheric and wholly immersive. In this reality,the non-magicians or Muggles are fully aware of the Magicians living among them and willingly (or unwillingly depending on who you ask) allow the Magicians to govern over them. The majority of commoners believe that The Magicians keep the population safe but there is mounting unrest - and with it emerges a shadowy anarchist group known as The Resistance, who wants to destabilize the Magicians and their reign of power. In this instalment, we get a closer look at the Resistence, who feel mistreated and abused by magicians and who wish to...relieve the magical community of it's control. A magical dystopia featuring a mix of modern and ancient, secular and mythological themes 1. The combination of the magical system and the sociological reality here make for some really interesting scenarios - all of which Jonathan Stroud takes full advantage of. What you get is a thoroughly unique fantasy story that stands fully on it's own merits. I didn't see much of any similarities to stories I'd read previously - and we all know that fantasy is my bread and butter. This series also offers a rich variety of intriguing magical items. Last time we had elemental spheres, scrying glasses and a powerful amulet. This time, we're treated to a possessed skeleton, a giant golem and a potent magical staff - just to name a few. What impressed me the most here though, was the character growth. Our hero was always a gray character but here he seems to have lost much of his altruism. The demon who ought to be the villain turns out to be much more morally complex than he might seem - even though I still wouldn't call him a hero either. And then there's our hero's main antagonist Kitty, who we meet in the first book but is a newly added POV in The Golem's Eye. Initially her chapters alternate between her past and present, giving the reader valuable insight into her past as a commoner and developing her character. At first, it seemed like she was getting too much page-time, only because I didn't care for her character all that much. She quickly became compelling, then sympathetic, then admirable and finally likeable. Once the blanks are filled-in as to how she became the person she is today she becomes another of the deliciously layered, shades-of-gray characters that author Jonathan Stroud does so well. Plot-wise, I won't go into the finer details, but suffice it to say that Nathaniel, lauded as a hero at the end of The Amulet of Samarkand obtains a prominent job within the Magician's government - the youngest Magician to do so. Naturally, his promotion made him a fair share of enemies, so when something begins to destroy prominent magic shops, it's on his shoulders to figure out who, or what, is responsible. If he succeeds, his position within the government will be justified but if he fails, all will be lost. He faces obstacles on every side, notable of which is Kitty, which he'd faced previously. Kitty was largely a mystery back then but her story truly here added a whole other perspective, not just with the story but with the world as a whole. As a commoner, or Muggle, she's faced with a whole other perception of reality. Watching the two sides come together was nothing short of impressive! In case it isn't already glaringly obvious, I am loving the hell out of this series. 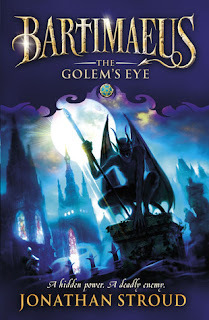 The Golem's Eye is a worthy addition to the series that was every bit as good as it's predecessor. This book delivers on nearly every front: the world/setting, the plot, the magic and the characters. My only minor qualm is that I wish I felt more actual love for the characters. I mean, they fascinate me but I don't feel as strong of an emotional connection to them as I do with my other all-time favorite books, which is likely due to their shades-of-gray personalities. As it stands, my favorite character is the demon (oops Djinni) Bartimaeus, because he's basically Crowley from Supernatural as a djinn! Overall, this was a stellar fantasy read, one I'd recommend to any and all fantasy readers. I love shades of grey characters too. Kickass gargoyle on the cover! I've seen this series when I used to work at a bookstore... sounds really great! Good for you for sharing a review on an older series, too... a lot of bloggers stick to new releases. Thanks! Wow, on to the next Stroud book! Good for you. I've read some of his books but I haven't read one in a loooong time. I do remember his distinct and elaborate world-building -- that's great that he's still doing a great job with that, the magical system, etc. 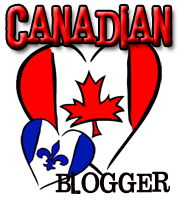 I'm glad you enjoyed this one, Micheline! Wow, this sounds awesome! I've looked at these before, but never actually read them. The world sounds so cool! Also, I love when books are so good that you adjust your schedule to get to the next one in the series. Those are the best. I read this series many years ago, but I'm not even sure if I finished it. I really need to give it a second look! Because you don't wish to look outdated earlier than your time then it's time you began to search for an alternate solution and that answer is Eye Secrets Instant Eyelid Lifter.